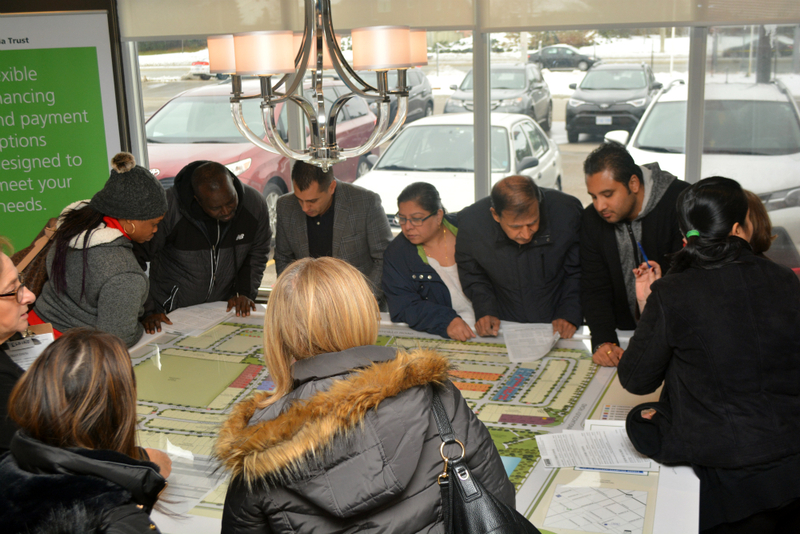 Doors opened at 11 am sharp, and the first few families are now selecting their lots and elevations. 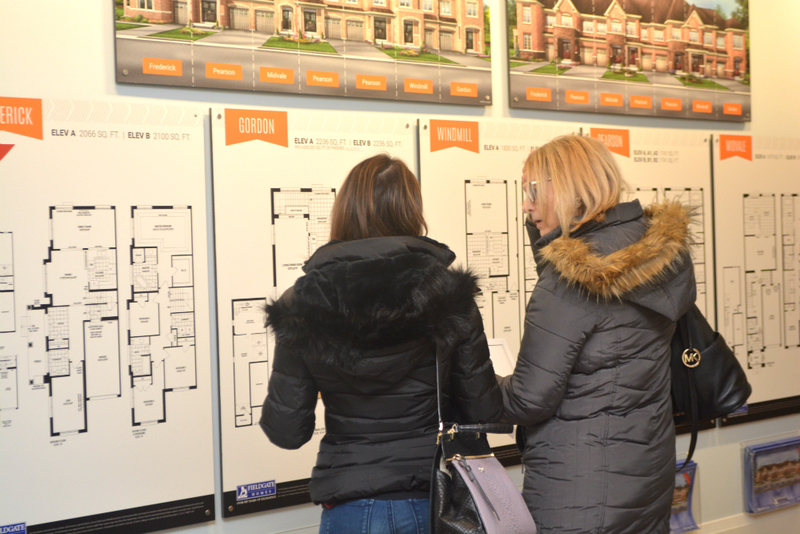 We’re seeing some familiar faces because people visited us earlier this week to get all the details they needed to make their home purchasing decision this morning. We are giving away $500,000 worth of incentives to the first 30 purchasers. A few buyers are taking advantage of the special offer right now, and there’s still time to get your share! Upper Valleylands features freehold townhomes, semis, and 30’, 38’, and 41’ detached homes with 3- to 5-bedrooms. The community is ideal for families of all sizes, and it’s great to see some buyers brought their kids with them today! 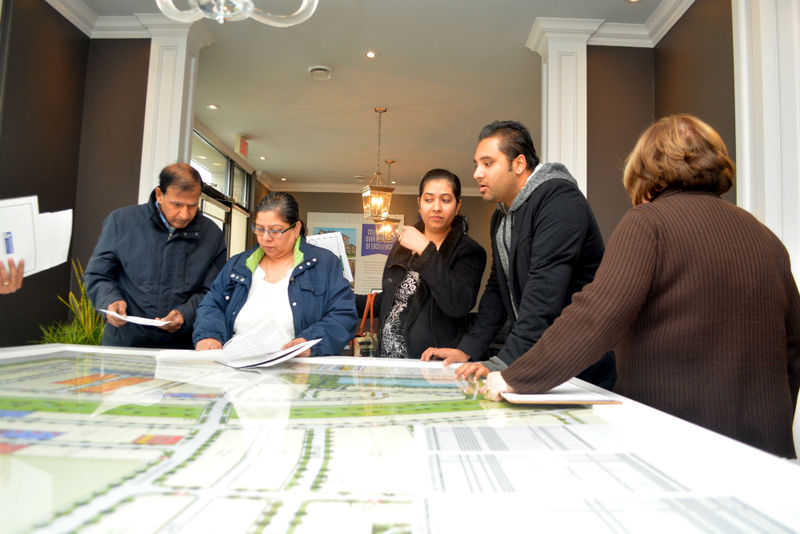 There’s never been a better time to buy a new home in Brampton. We have a selection of different home types, so there are many options for you and your family to consider! The Upper Valleylands sales centre is located at 8676 Chinguacousy Rd. and we’re open until 6 pm today. We can’t wait to meet you!